Our parents are there for us when we’re at our most vulnerable: They sweep the nightmares from our brows and kiss our skinned knees. They talk us through our triumphs and our great pains and everything in between. But as we grow older, the roles gradually shift — and we must talk our parents through some hard, scary issues. Some of the hardest, scariest issues are end-of-life issues. Though we may have faith or spiritual traditions we can rely on, it can be more difficult to discuss concrete issues such as living wills, advance care directives and palliative care solutions. It may never seem like the right time to have this conversation, but November is National Hospice & Palliative Care Month, a time dedicated to learning more about the compassionate care options that are best for our families, so that can always be an entry point. 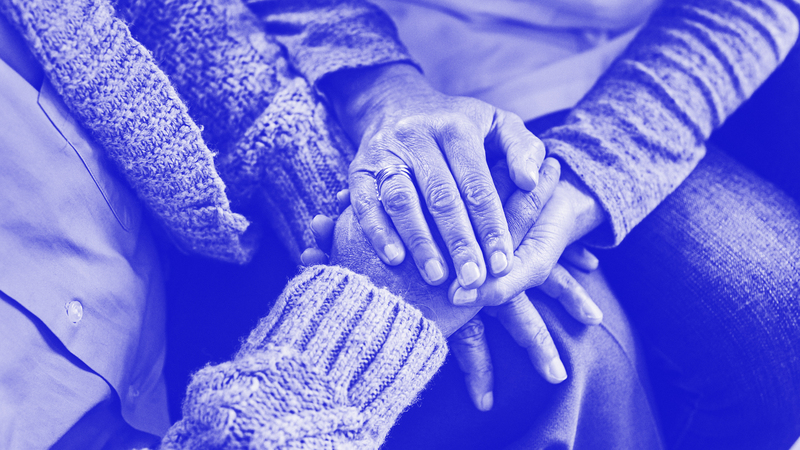 Starting the conversation may seem insurmountably hard, but Dr. Tina B. Tessina, a psychotherapist and author of The Ten Smartest Decisions a Woman Can Make After Forty, tells SheKnows enlisting our parents’ medical care providers can be vital because they can surreptitiously get pivotal information we need. In other words, she encourages people not to tell your parents "you’re doing it for them" because that’s an opportunity for them to say, "We don’t need that." But if you’re asking them to do it for you, you’re more likely to get a good response. Another strategy Tessina suggests is that if your parents have a good friend who is close in age — especially one who senses the value of end-of-life planning — you can enlist that friend to talk to them peer-to-peer (which may go more smoothly than having that conversation with the children they once changed and helped with homework). The paperwork — such as living wills and advance directives — can be hard enough to secure. Trickier still is determining what types of palliative care our loved one might need. Though we may think we can wave these concerns away with a general plan, like, say, getting a home care aid or determining whether they should get a do-not-resuscitate order, Micaela Heights, a registered nurse, hospice nurse and physician orders for life-sustaining treatment specialist, says it’s important to be specific about what the options and the needs could look like. “One effective way I found of opening the topic to family members and anyone outside of my job is through a combination of storytelling and painting a picture for them,” she tells SheKnows. Heights says that when her friend’s father fell and experienced a concussion that left him mentally incapacitated, he had to have a caregiver assist him with specific daily tasks, like transferring him in and out of bed or to a wheelchair, dressing him, taking him to the toilet, bathing him, giving him his scheduled medicine and preparing his meals. Heights also encourages us to show self-care while starting to think about how we’d care for an elderly, infirm relative. “A lot of family members I've spoken to feel guilty about everything,” she says — specifically that they are only prolonging their loved ones’ suffering or not doing enough to save them or help them. This is why knowing what our loved ones want is so important. Tessina seconds the call for self-care and says that distributing the responsibilities among family members can alleviate the strain. She also encourages caregivers to review community resources. “People often feel negative about senior care residences or convalescent hospitals, but if placing your family member in a good care facility is financially workable and it relieves the burden of actual care so that you can be more emotionally supportive, that may well be a good decision,” Tessina explains. It’s important for us to frame these conversations as a time to honor our parents’ wishes and give them the best quality of life, however long that may be. We can use these talks, hard as they are, to show our love and devotion to our loved ones.